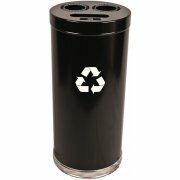 Go green in style with metal recycling containers from Witt Industries. Highly attractive and built to last, they are the ideal choice for auditoriums, cafeterias, conference rooms and any other indoor location. 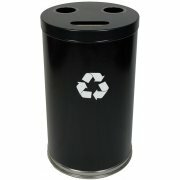 All of Witt's metal recycling containers are made of heavy gauge metal for easy maintenance and long-term durability. 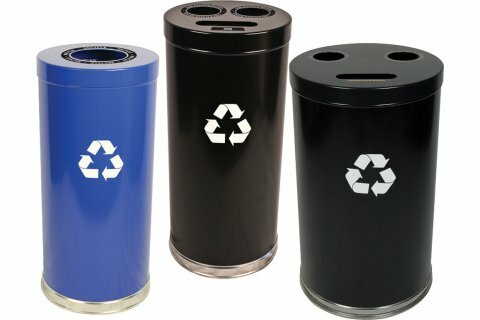 Rigid plastic liners make servicing a snap, and prevent containers from grime and permanent stains. 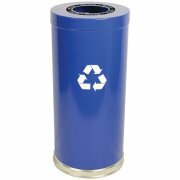 With a varied choice of tops, sizes, colors and more, these metal recycling containers make it easy for your school or business to promote environmental awareness.